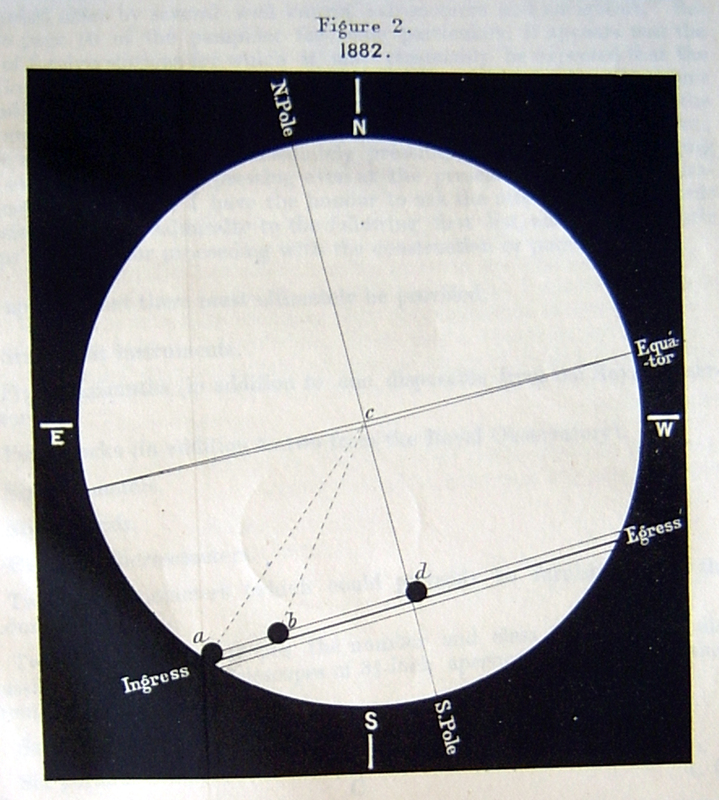 Predicted path of Venus on the Sun during the 1882 ToV in relation to the field of the Kew photoheliograph, published by the pioneering astrophotographer Warren de la Rue in 1868. This copy is from the relatively rare Correspondence Between the Treasury, the Admiralty, and the Astronomer Royal, Respecting the Arrangements to be Made for Observing the Transits of Venus, Which Will Take Place in the Years 1874 and 1882 printed in the House of Commons Parliamentary Papers XLVII (1869). Image courtesy of Specula astronomica minima (©Specula astronomica minima).